For those about to rock, here’s your chance to salute them. 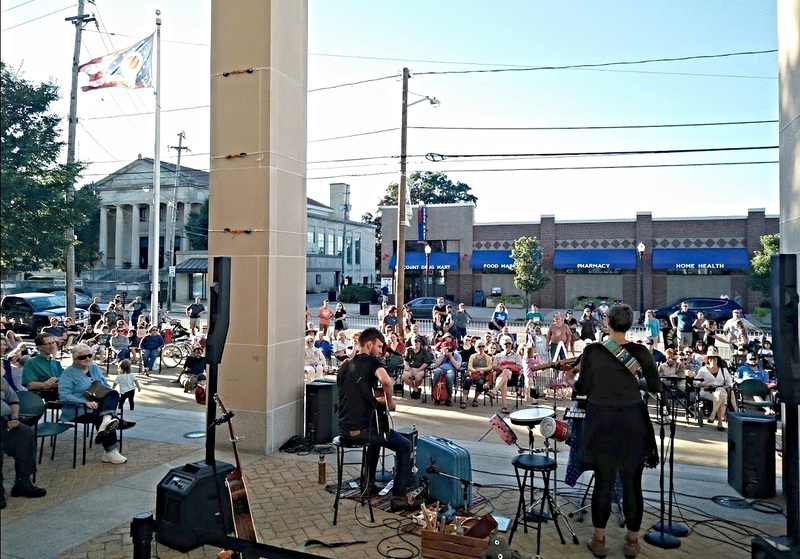 A pair of talented student ensembles representing The Lakewood Music Collective will entertain the crowd with a variety of musical offerings this Friday, July 13, during Week 4 of LakewoodAlive’s Front Porch Concert Series. Week 4 features student ensembles representing The Lakewood Music Collective. Week 4 of the series is presented by The Lakewood Music Collective, a Lakewood-based music studio owned by Chris Parsons. The first band, a trio of younger students known as The Collective Perspective, will perform a mix of rock and punk tunes. This band is comprised of Jonas Evans (guitar), Carson Lowery (bass) and Audrey Stahl (drums). Mike Abbadini, one of the ensemble coaches, will perform with this band by playing keyboard and singing. The second band, an adult student group known as Better Late, will perform a mix of soul, funk and pop music. This band is comprised of Tamara Alibeckoff (drums), George Hancsak (keyboard), Angie Ilg (vocals), Sean Lima (guitar/vocals) and Mike Mackey (bass).